The performance RE_SONANCE by artist Antoni Rayzhekov consists of the interaction between different instrumental components. 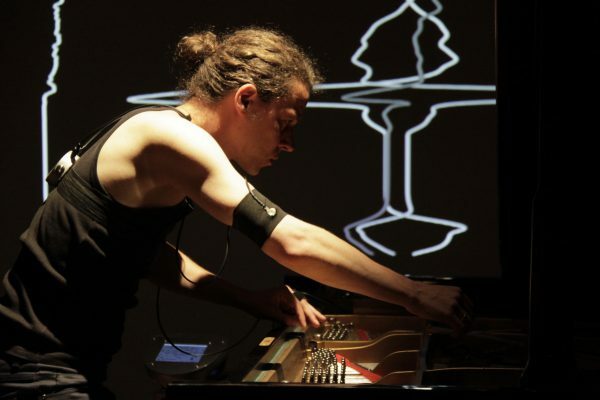 A self-designed electro-acoustic instrument augments a grand piano with the biofeedback information captured by a special wearable device monitoring the heart- rate, tension-level, and the movements of the performer while playing. The amplified sound of the piano resonance is modulated by the physical condition and movement of the performer. The piece revolves around the physical interconnection between performer and instrument, amplifying specific aspects of the sound, based on the emotional and physical response of the body. In this interview Antoni Rayzhekov talks about the development and his personal relation to RE_SONANCE. Judith Engel: How did the project start? 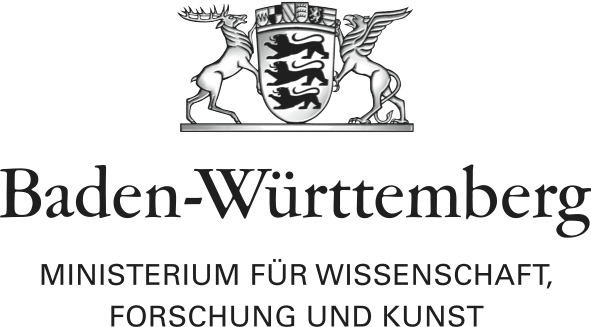 Antoni Rayzekhov: In April 2016, I received an invitation from Mr. Jean-Baptiste Joly to perform a short piano piece at the Sommerfest of Akademie Schloss Solitude. This coincided with my intention to initiate my first studies in biologically augmented piano during my residency at the Akademie. I had had a solo-piano project in mind for quite a while already. I wanted to compose a piece where I could investigate my relationship with music and more specifically with the piano. This relationship always felt to me very physical, holistic, and rather irrational. I knew that I wanted to capture my physical condition while I was playing and use that information to explore and modulate the sound resonances of the piano. The second thing I knew was that the piece would be in C#. The rest of the task was to design a technology that could bridge the piano with my body in real time, and to learn to play piano anew. I adapted part of the technology I have designed and successfully applied in biofeedback driven music within the projects 10VE (2014) and SOMAPHONY (2015) and started my experiments at the end of May. I am curious to find out where they will lead me. JE: Many of your projects seem to deal with the interaction of music, technology, and (human) bodies. What is your interest in this combination? AR: I am deeply rooted in performing arts. I had the wonderful chance as a kid to grow up in the theater. Later, after nine years of studies in theater directing and acting alongside my jazz studies in Vienna, obsession with music, and long-term curiosity about technology and digital arts, it was logical for all those vectors of artistic practice to fuse together. This fusion allows me to look inside the performing body in a different way, to examine it as a highly sensitive membrane and investigate its behavior within the creative act of performing. There is so much happening in the body while we perform, I want to amplify it, expose its energy, and explore the uncanny territory between our inner-space and our surroundings. JE: How and when did this interest in the seemingly different fields of technology and art start? AR: Everything started somewhere in 1993–1994 when I had the idea for a participatory sound installation – The Singing Picture (2004), where the observer can activate different musical fragments by looking at specific spots on a 3 x 1.5m triptych with rather surrealistically orchestrated objects of sound. Back then the technology was not available and we tried with a few engineers from Sofia to build it. Soon, they dropped the project. I was still extremely curious to find out how the installation would feel in reality, so I learned to program. It took me about 10 years. Finally, it was on display in 2004 at Sfumato Theater Laboratory in Sofia/Bulgaria as a part of the exhibition The global and the human. This installation sparked my interest in computer science and digital arts. I am generally interested in participatory art and the notion of a narrative being rebuilt and re-constructed by the audience within an installation or a performance, so that the audience is transformed into a creative agent and is a key part of the artwork itself. This interest resulted in an artistic practice examining the performative nature of digital arts without losing the organic dimension. By designing my own technology, I can embed my artistic concepts directly in software/hardware, sound, light, and movement – building complex performative instruments that interconnect processes which were not viable before . JE: Would you consider yourself a performer, technician, artist, actor, researcher, or director? AR: My practice is based on the very fine interaction between all of these. Acting helps me to navigate between each role, and directing enables me to fuse them all together. I cannot identify myself as a technician, because I look at software as an art form by itself. On the other hand, the nature of my artistic practice requires considerable research for each project, often diving deeply into scientific papers that challenge my understanding of math or cognitive science, but extend my knowledge about the world and human nature. Perhaps participating in nearly all of the different aspects of creating an artwork reflexes my notion of artistic integrity and displays my diverse interests in contemporary artistic practice as research in the crossover between new media, participatory, and performing arts. JE: You mentioned that this project is a very personal one and intertwined with your biography. In what way can RE_SONANCE be seen as an (auto)biographical work? AR: I remember in the first two years of my piano studies I actually didn’t have a piano; it was too expensive. My grandmother took me to her friends’ place, where I practiced and ate enormous amounts of sweets, cakes, and cookies. Perhaps this constructed an idiosyncratic reflex to music of sorts. Later, I got a piano, bought by my parents with the money I earned as a child actor in the theater. I believe these obstacles to playing music were very attractive. Since I was playing from an early age and I went through studying first classical piano in Sofia with Heli Mandil and later jazz piano in Vienna with Foeger Berthold at the Vienna Konservatorium, I never really felt like a good student, I guess I was way too anarchistic and perhaps too impatient. I always wanted to change the notes, the tempo, to bring the music closer to me, instead of bringing myself closer to the composition I had to play. I was interested in composition and in improvisation. In self-expression. Somewhere in the late ‘90s, I started to make electronic music, using computers, and this led me into an entirely new universe of sound and music production. Now, within the studies related with the RE_SONANCE piece, I am attempting to go back and explore this personal connection to music in a different context, from the perspective of a contemporary digital performance and in this sense, yes – it can be described as an (auto)biographical work and a study in the bio-logical discourse of music. »Complex Financial Instruments«, a collaboration between G Douglas Barrett and Leigh Claire La Berge, turns the gallery space into a treatment center.